Brodit are well known for their mounting systems for PDAs and other mobile devices. With the introduction of the TomTom GO there was obviously an opportunity to create a fixed mount rather than the windscreen suction mount provided with the GO. This mount is priced at £19.99 including VAT, but you will also need a vehicle specific ProClip. The UK Brodit distributors Nemesis graciously provided me with a review sample of the mount from the first batch to enter the UK. Have Brodit come up with the perfect mount for the TomTom GO? Click here to read the review and find out what I thought of it. I have used it in my Ford Probe let us know what cars you have used it in and how it performed for you. The replacement mount that comes with the external antenna kit for TomTom Go does exactly what you say you would like it to do . Back in October I reviewed a Brodit mount for the TomTom Go. Since then Brodit have two more mounts for the TomTom Go with slightly different designs. This new review will look at all three mounts the pros and cons of each design, and present a personal opinion of the best of the bunch. Brodit are well known for their mounting systems for PDAs and other mobile devices. With the introduction of the TomTom GO there was obviously an opportunity to create a fixed mount rather than the windscreen suction mount provided with the GO. Just read the new Brodit mount reviews - I guess what you deem the best one cannot be used with the external antenna kit? - can you confirm as I don;t have the external antenna kit yet. In lieu of this, I guess you would use the second kit. I like to use this in my new car, I want the external antenna plugged in and have the Go mounted around the central air vents or close by. Am expecting to buy the TTGO this month but I've a heated windscreen in my X type Jaguar so expect will need the TT antenna. Just to clarify re the mounts..which is the mount number I should get (from your three review) to accomodate the external antenna base? Am I right in thinking it's the one you voted 'second'? Also,would you think that the antenna attachment would be OK placed in the far right side (drivers side)of the windscreen as there appears to be no heating elements for about a width of 4 or 5 inches there? Sorry to be so thick..but it's all new to this oldie! pj. Not necessarily pjwy, I have a Ford Focus with a heated windscreen like yours and I can get a good signal if I mount the TTG in the far right corner of the screen. Yes that's true..I could try the TTGO as you say where the blank space is on the right of the screen.That said,I had rather hoped to put the unit lower down..like somewhere on a mount on the dash..so in this case would presumably need a ext antenna which should work like yo say to the right of the screen.Thanks.. pj. Thats fair comment but I have found that the position on the far right of the windscreen is better anyway as it means that you don't have to move your eyes off the road very much when you want to confirm the layout of a junction on your Tom Tom. Enjoy it anyway, I do. Thanks..I'll certainly try the Go on the right side like you suggest first before I do anything else. pj. The 215038 does not work with the new range of GO's. At least it doesn't with my GO 700. Not sure about the 300 mate. All I know is that when you put the 700 on the 215038 it forces the cover off the front of the unit. 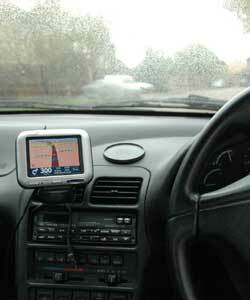 Handnav.co.uk confirmed it wouldn't work when I enquired and I've exchanged it for the 215027. Best wait until it arrives and gently try and connect it. I would rather stop the shipment, if I can, if there is going to be a problem. I just hope that www.gpsforless.co.uk read this forum and stop my order. I just bought a 215039 to use with my GO 700, but it appears that the suction mount has been changed since the classic, and as a result the section you have to re-use with the 215039 is no compatible. So now I just need to buy an old mount - anyone have one?